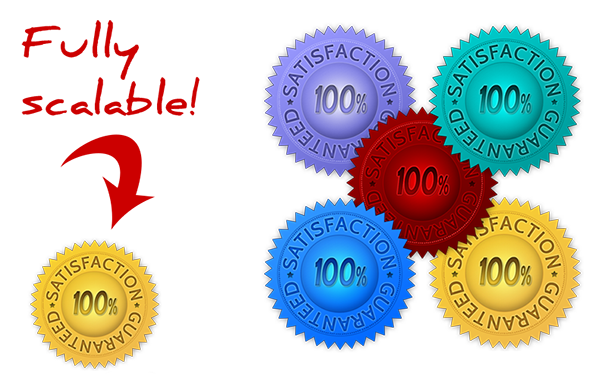 A set of 14 guarantee badges in two styles delivered in transparent PNG format (use them on any color background). They’re fully scalable to size, and you get the PSD source files. You also get one of the styles in blank form. 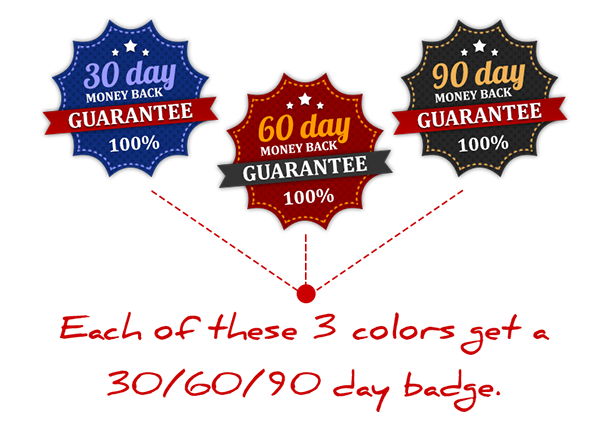 Use them to add your own guarantee wording or use them as discount badges – the choice is yours.